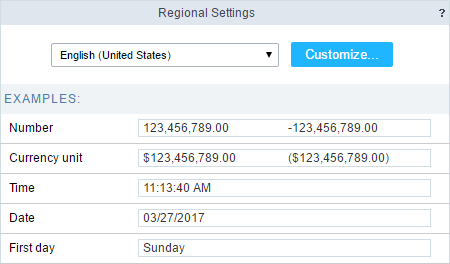 The regional settings allows you to define some parameters of the monetary unit, date and number according to the country or region where your application is going be used. Clicking on Customize you can modify the values that’ll be used in your applications. In the General group, you can set the writing direction. This setting configures if the characters will be inserted from left-to-right or right-to-left. In the Number group, we have some parameters like the Decimal Symbol, digit grouping and negative format. These parameters are used in the applications that uses the decimal type field. In the Currency Unit group, we have some parameters like the Monetary Symbol, Currency positive format, etc. 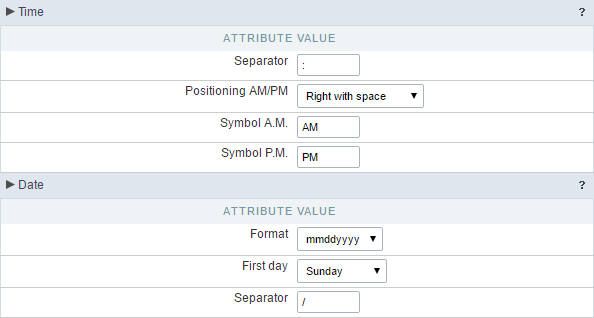 These parameters are used in the applications that uses the Currency type field. Within the Time and Date groups are available the parameters of Date and time, that can be used in the fields of the Type Time, Date and Datetime.